At the mouth of the River Fal, the lively, harbour town of Falmouth in South Cornwall is the ideal focal point for any camping holiday. With a strong maritime legacy and coastal culture, its streets are filled with museums, art galleries and independent music venues. Add to this the Blue Flag beaches, boat trips from the quay and excellent water sports facilities and you have a holiday destination that’s hard to beat. Falmouth campsites aren't hard to come by but, for the very best, check out our Cool Camping recommendations. 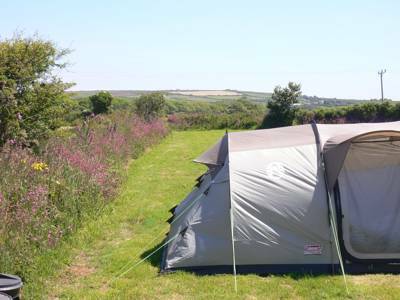 It’s no surprise that the Cornish town of Falmouth is a hub of good camping and glamping sites. This laid-back town has an artistic and independent feel as well as an idyllic location on the South Cornish coast. And in addition to the surf and sand of its seaside location are subtropical plants – which thrive in its mild climate – and easy access, by Cornish standards, to many of the region’s attractions. As a magnet for water-lovers, free-spirited families and surfer dudes, Cornwall is a popular destination for camping too. 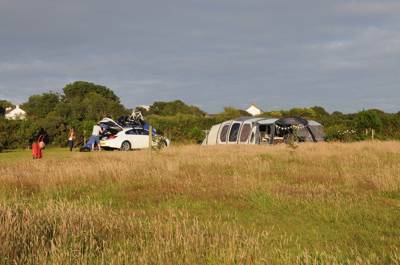 There are plenty of back-to-basics campsites in Falmouth and beyond offering places to pitch a tent or park up in a campervan. 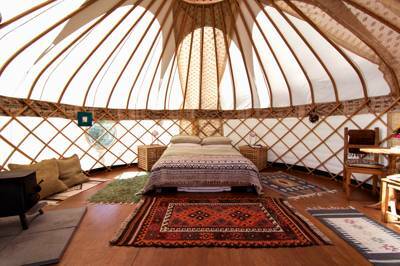 But it’s also a hub of great glamping getaways and there are bell tents, tipis, yurts and camping pods across the county if you don’t have your own camping gear. You’re unlikely to run out of things to do while you’re on a camping holiday in Falmouth. The beaches alone can keep you occupied for days: there’s Castle Beach with its rock pools at low tide, Gyllyngrase and its crescent of golden sand and Swanpool on the edge of a nature reserve – and they’re just the beaches within walking distance of the town. You can, of course, take to the water; swim, surf or SUP to your heart’s content and, if you haven’t got your own gear for watersports, there are plenty of outdoor companies with equipment to hire and the expertise to teach you the ropes. There’s more sea-salt flavoured fun to be had in taking a boat trip out to sea, visiting the National Maritime Museum and eating out – perhaps at one of Rick Stein’s eateries. In town, you can browse the independent shops, visit the Falmouth Art Gallery and stroll through the sub-tropical plants of Kimberly Park Gardens. 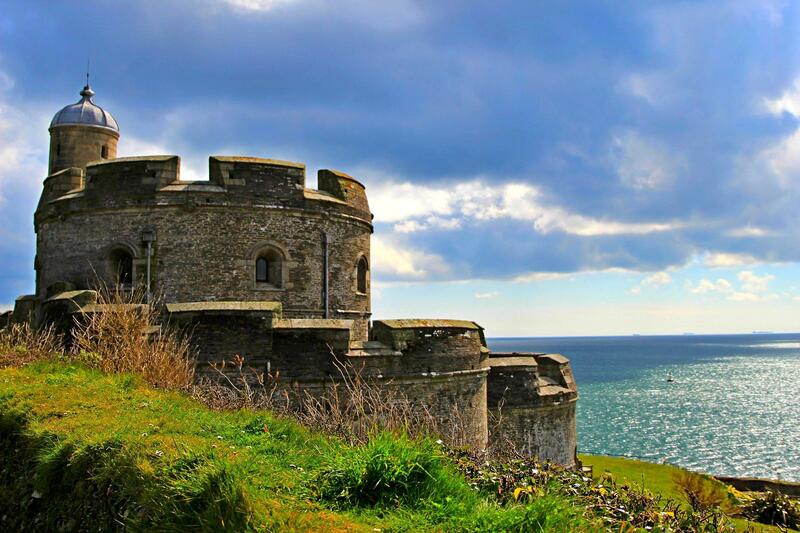 There are more impressive and exotic plants at Trebah and Glendurgan Gardens in nearby Mawnan Smith and, on the outskirts of town, you can visit Pendennis Castle. You can take a boat to the town of St Mawes, where there’s another castle on the other side of the estuary, or go up-river to the Cornish city of Truro with its Gothic cathedral. Lizard Point, the most southerly point of England, is about 20 miles west of Falmouth and the Eden Project is 30 miles north-east of here. 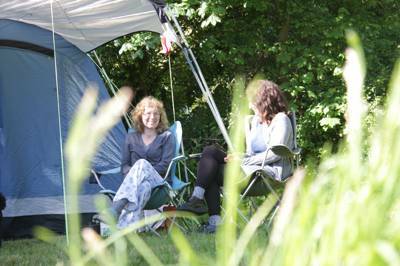 For more ideas on things to do while camping in Falmouth, check out the town’s tourist information website. 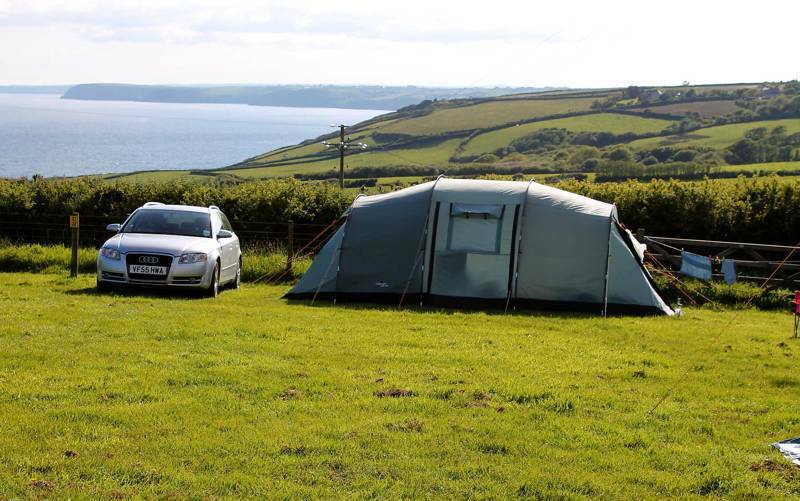 Falmouth Cornwall Seaside Coast Camping Campsites Glamping at Falmouth Camping, Independent art galleries, award-winning pubs, Blue Flag beaches... the harbour town of Falmouth in South Cornwall has something for everyone, including a host of excellent local campsites. Discover the very best of them with Cool Camping's hand-picked collection.